Altitude hold: it enables drone stabilize, taking clear photo and recording video with more realistic colors. 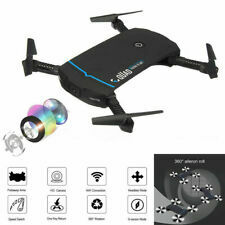 Under headless mode, there is no need to adjust the position of drone before flying. Drone Battery: 3.7V 500mAh Lipo (Included). Drive on Land and Water: the amphibious RC car is equally fun whether your kid is on land or water. Amphibious car x1. 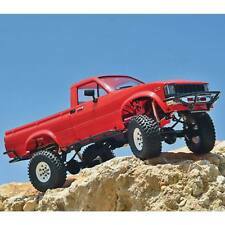 1:28 Racing Cars 2.4G RC Stunt 360° Spiral Rotatable RTR Hobby Kids Toys Gifts. Function: go forward/ go backward/ turn left/ turn right/ colorful light/waterproof. 1X Quadcopter. 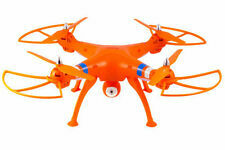 Built-in 6 Axis, stronger wind resistance and more stable, for both indoor and outdoor flight. Battery for helicopter: 3.7V 600mAh Li-battery. With colorful LED light, can flight in the dark at night. Features: APP operation, Gravity sensor: forward, backward, left, right fly. Trajectory flight,Alititude Hold,Photo,Video, 360 Degree. Mini to Take - You can take it everywhere you want to enjoy with its mini design.With. 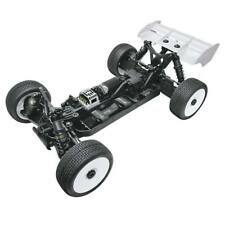 The Vehicle is 1 / 32 RC Racing Car. 2x 4S 14.8V 5500mAh 40C LiPo Batterie Akku für RC Flugzeug Hobby Boot Auto Hobby. Transmitter frequency: 2.4G. 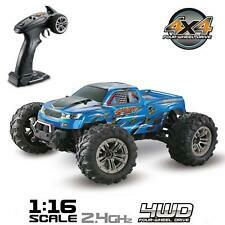 1 x RC Car. the car is running or drumping on the ground or on your desk or wherever you want, tring to avoid all the barriers you set, a quickly speed, a sharply turnin. This Rustler was significantly upgraded with the Castle Creations Sidewinder Sv2 motor and ESC. 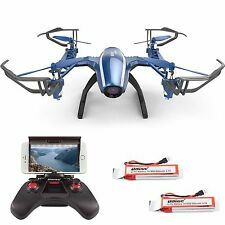 I am including the full set with transmitter and 2s LiPo battery, so you are ready to run. The Sidewinder Sv2 ESC is connected to an on/off switch easily reachable with the body on. 4 channels can do ascend, descend, forward, backward, left sideward fly, right sideward fly and 360° rolling. Altitude hold: it enables drone stabilize, taking clear photo and recording video with more realistic colors. Fit for 1:16 RC Smoke & Sound & BB Shoooting Tank . greatly reduce power consumption. Scale：1:16. We will try our best to reduce the risk of the custom duties. Can also automatically let the frequency, frequency hopping, in order to avoid mutual interference. Trending at C $26.64eBay determines this price through a machine-learned model of the product's sale prices within the last 90 days. ImmersionRC SpiroNet 5.8GHz 8dBi Mini Patch Antenna RHCP This 5.8GHz Right-Hand (RHCP) Circular Polarized patch antenna was custom-designed, with no expense spared, for the FPV market. Light enough to be mounted directly onto an LCD headset, or directly onto the front of one of our Uno, or Duo receivers. Precision manufactured with very tight tolerances, *each antenna* is 100% tested on a professional antenna tester (Rhode & Schwartz) to ensure maximum range and performance SMA male connector compatible with all FatShark/ImmersionRC 5.8GHz products sold to date Right-Hand circular polarization 5.8GHz ISM Band 8dBi gain Beam width -3dB at /- 45 degrees (H V) (90 degree total) F/B Ratio >356dB VSWR < 1:1.35 at 5800MHz Impedance 50 ohms Weight 7g. For Tamiya : Monster Beetle ( 2015 ), BlackFoot ( 2016 ). Aluminum alloy upright ( 2 pcs ) . others picture for reference only. Remote-controlled models are a fun hobby because they add a whole new interactive dimension to model-building. There are RC versions of all kinds of vehicles, including drones and flying machines with no full-scale counterpart. 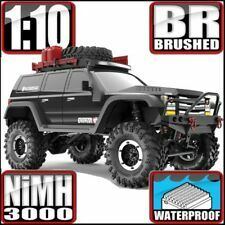 Whether you appreciate consumer, military, or industrial machines, and whether they travel by air, land, or sea, there is likely to be an RC vehicle for you to enjoy. What kind of flying RC models are there? There are several types of remote controlled flying vehicles for fun and for racing. 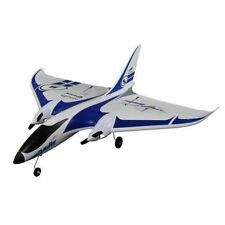 RC airplanes can be based on real planes, or they may be a new, model-specific design. They often have the ability to fly high and far, do tricks in the air, and move at high speeds. 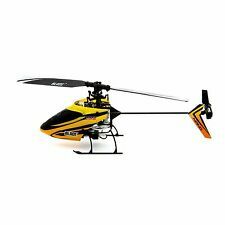 Helicopters are maneuverable in tight spaces, and so you can often fly them indoors. Quadcopters and other exotic forms tend to perform like helicopters. The larger they are, the better they can fly outdoors, and some of them are big enough to mount a camera or other attachment to them to capture footage from the air. Each of these types of vehicles with radio control has its own attractions based on what you want to do with the aircraft. An RC yacht or sailboat is a simple machine with a sail and a hull. Sailing a machine like this uses the same principles humans developed centuries ago to explore the world. Which fuels can remote-controlled models use? The biggest divide in the energy sources that these models use is between the ones that are electric and have to be charged up and the ones that use gasoline. Electricity-powered models don't require you to keep fuel around, but you can't power them until they've been charged. On the other hand, gas-powered vehicles are ready to go as soon as you pour in enough fuel. What do you need to get started with remote vehicles? RC kits come in a few different levels of readiness out of the box. If you see a model kit that is labeled Ready to Go or Ready to Fly, this means that the kit contains everything you need to start right away with the exception of fuel or power. Bind-N-Fly is a designation for fliers that means you need to have your own remote control transmitter. You can link the model to the transmitter and then you will have control over it. Almost Ready means the vehicle needs something extra. This might be a motor, a battery, some kind of electronic component, or a glued joint between some of its parts. The kit you select will likely be clearly labeled to tell you what parts come with it and what parts you might need to supply yourself.